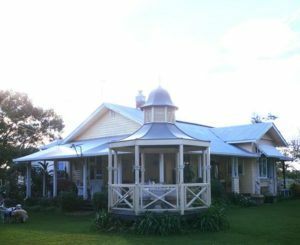 Lismore has one of the best affordable wedding packages for young couples, or anyone wanting to get married for a reasonable price. 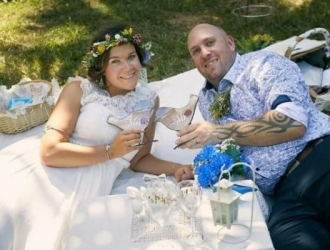 Professionals from the wedding industry has got together and offer their service’s at reduced prices to assist couples with their wedding plans. Our packages offer a Wedding Venue, a Wedding Photographer, A wedding Celebrant, Decor, and finger food catering for after the wedding ceremony. Packages start from $1,850. Of course we can arrange a package to suit your requirements if you do not feel our packages suit. 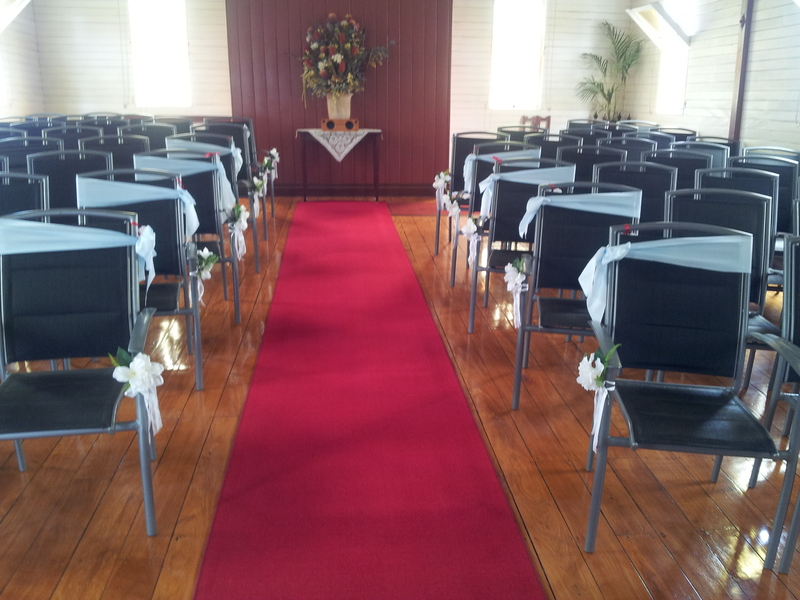 We can also suggest other venue’s if you do not like the chapel. 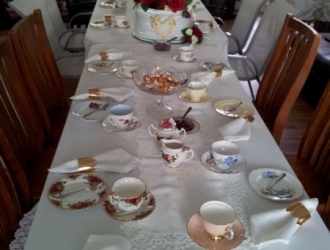 High Tea Ladies are the caterers and offer High Tea Wedding Receptions, Picnic Style Wedding Receptions and Finger Food Catering if you wish to have a reception in a hall, or at home. Weddings for a reasonable price, and your way. No other couples on the same day, your own private wedding. High Tea Ladies are two retired ladies that wish to make a difference with your catering requirements. Every celebration is unique, and as caterers we go out of our way to ensure that your catering will suit the event. 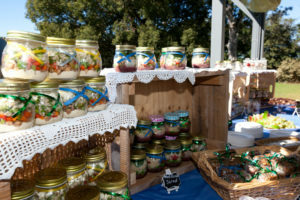 We are the only caterer’s in the Northern Rivers who do catering in glass jars. So unique and special, and can suit any occasion. We call it picnic catering, but really it is just a special way to serve your food. This style of catering is suitable for any occasion. Weddings, Engagements, Birthdays, Baby Showers, Hens Parties anything really. We can do any size group buffet style and up to 40 guests with the old fashion picnic baskets. Our picnic baskets have all the china, cutlery etc in the baskets. 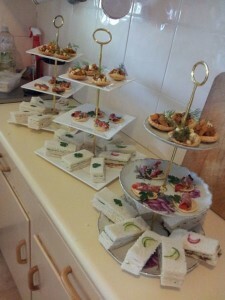 Everything is supplied for your buffet when you get High Tea Ladies to cater for you. We supply the tablecloth for the buffet table, and all the picnic boxes, cutlery , and serviettes is supplied with the order. 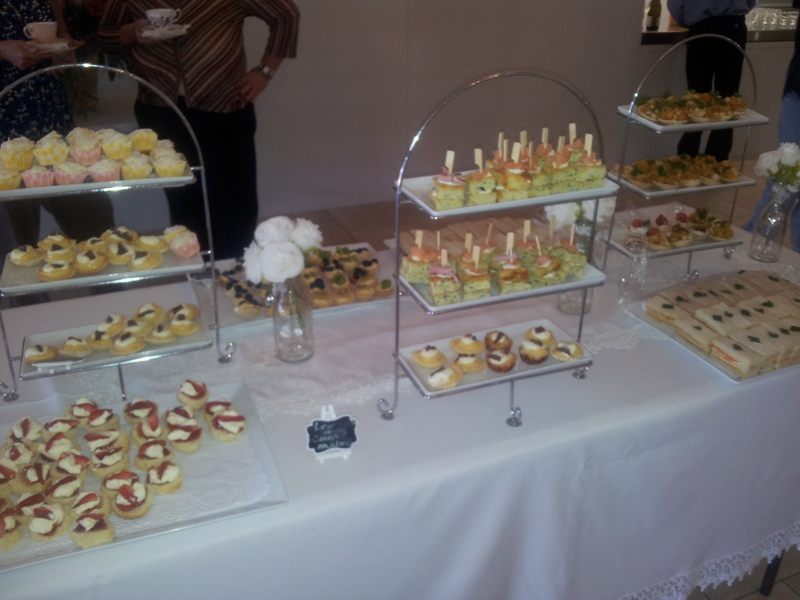 OF course our High Tea Catering is one that we are also very proud of. All of our packages include delivery, set up, service and clean up, and we come to your, whether it is your home, holiday house, hall or park. The only thing we do not supply is the tables and chairs, but we can assist with the hiring of it if you wish, as we do have contacts with some suppliers. WAKES :- this is a special part of our catering, and we are always so privileged to be asked to cater for a loved one that has passed. 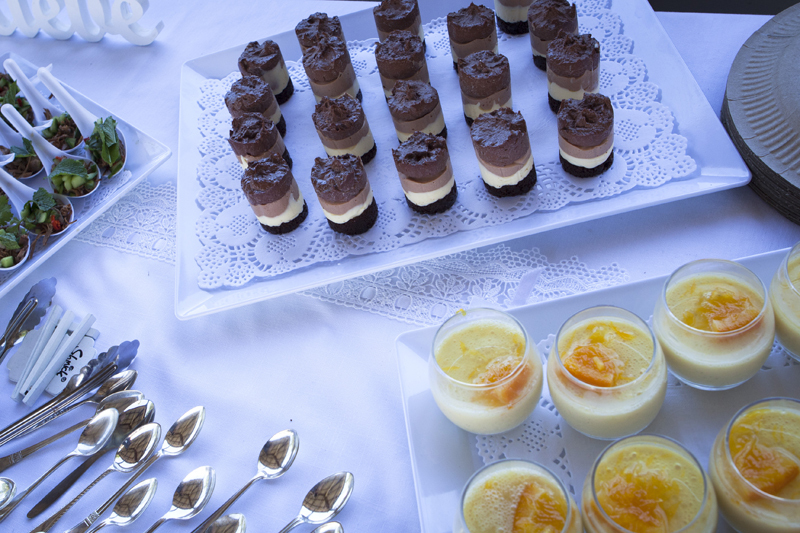 We make the catering very special, and will work with the family to ensure it is just right. Again we will come to your house, hall, or anywhere with everything that you need. Packages start from as little as $10 per head, or you can just give us a budget, and we will supply the food to match your budget. Princess Parties :- can be designed for little ones or big girls. we have different crockery to suit all age groups. 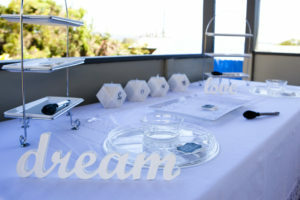 We have introduced a pop up wedding Ceremony package to our business as well. Again we are trying to help ;the young ones with their wedding plans. It is just so expensive to have a wedding these days, and I can assure you we can do a wedding for a fraction of the cost, and it will be wonderful and a day to remember. Ceremony packages start from as little as $1,850 and include the celebrant, photographer, venue, decor and finger food catering for a toast. We come to you with either a High Tea or a Gourmet Picnic. We can create a unique catering experience to match your celebration. 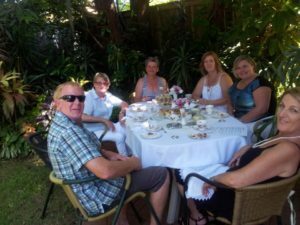 Whether you are having a High Tea with a group of ladies, or a Gourmet Picnic with your work mates, or a romantic Picinic with your loved one, we can assist. Maybe you are having a family reunion, and would like to relax and enjoy the event. Maybe you would like a relaxing wedding reception, that can be a fun day. NO stress for any celebration. We work with you. 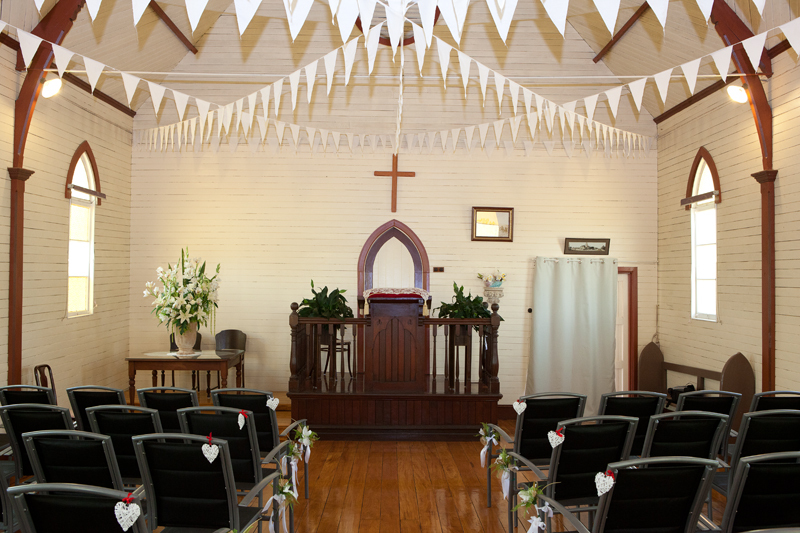 Affordable wedding ceremonies for under $2,000, in country locations. What more can you ask for. 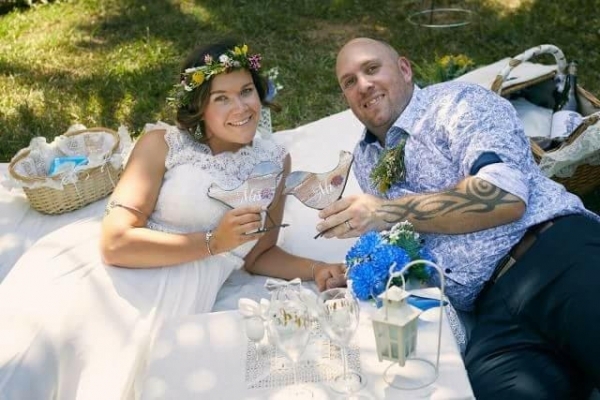 I Do pop Up Weddings is a group of professionals who have got together to offer couples a alternative to the expensive weddings that are out there. Our ceremony packages are very stylish, and we have a couple of set venues to choose from, but we can also set up a ceremony at your own location, around Byron Bay, Lismore, Ballina, Casino and surrounds. Our set wedding Ceremony packages include the Venue, The Celebrant, A photographer, Decor, and Finger Food catering after your ceremony. Optional extra’s to add on a reception if you so wish. 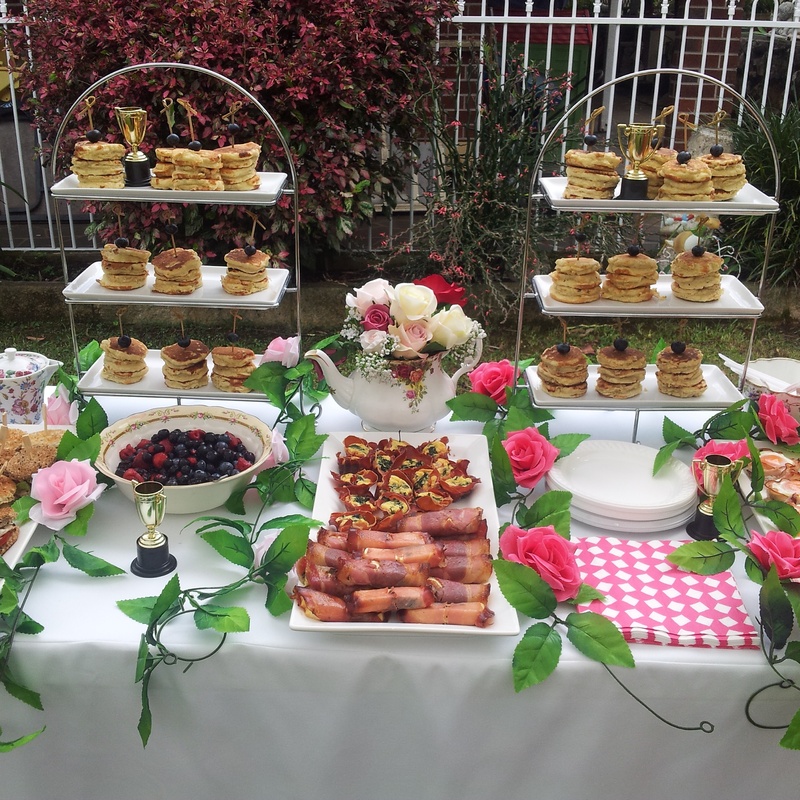 High Tea Ladies offer High Tea Wedding Receptions, and Picnic Wedding Receptions or they can do a finger food style buffet. 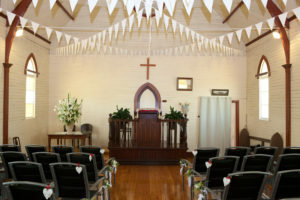 Planning your wedding and wish to save money, we can help you, as long as you are planning to have your wedding in the Northern rivers of NSW. Catering in Lismore, Casino, Ballina, Byron Bay and surrounds could not be easier. 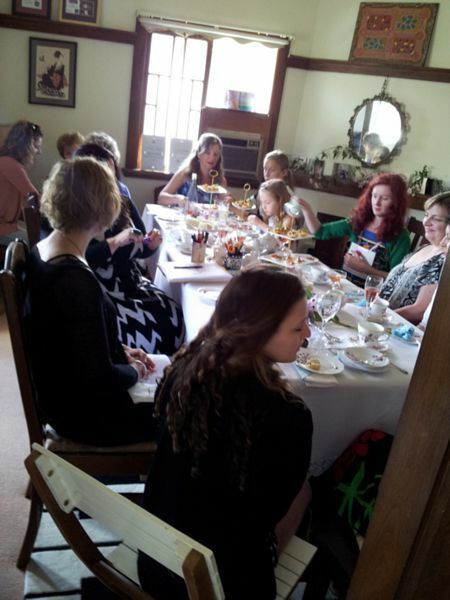 High Tea Ladies are mobile, and will come to you. 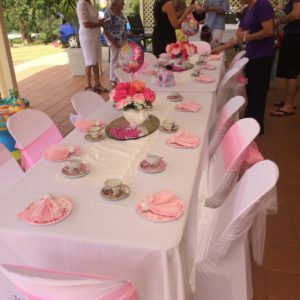 If you are on Holidays in Byron Bay, Celebrating a Hens Party, Baby Shower or Family get to gether we will deliver and create a unique setting for your celebration. Romantic Picnic’s will be delivered to your Holiday House, or you can pick up from Ballina Information Centre, or Lismore Information. Great for a romantic picnic with your loved one, or even to pop the question. 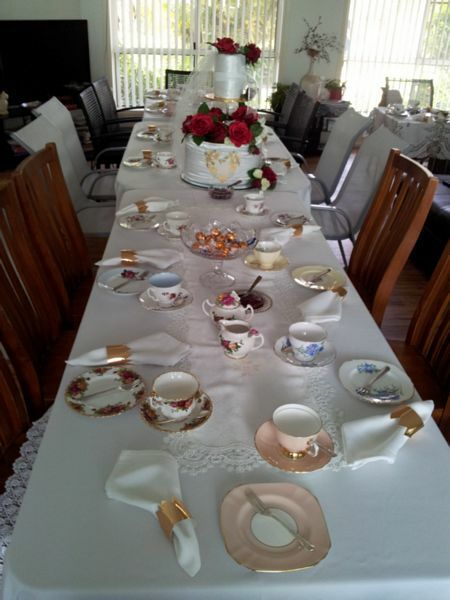 High Tea Ladies, are based in Lismore and service the Northern Rivers. 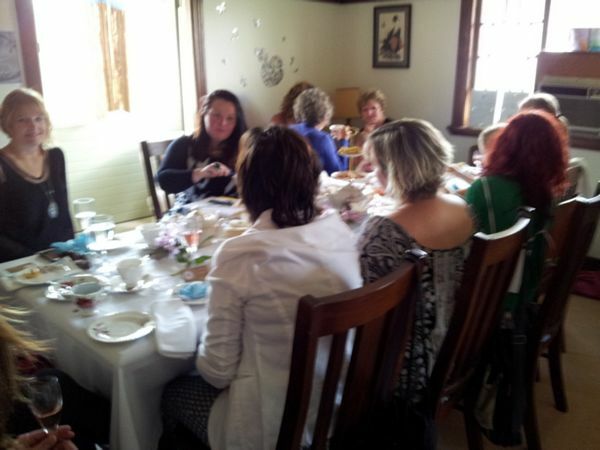 Children’s theme parties, or adult theme parties are a great way to celebrate a special occasion, or do a fundraiser. Looking for a caterer that goes the extra mile, and delivers old fashion service for just about any occasion. All food is home cooked, fresh and we can cater for most dietary requirements. High Tea – Baby Showers, Hens Parties, Birthday Parties, Ladies socials, corporate gatherings, fundraisers, weddings, or anything else you can imagine. 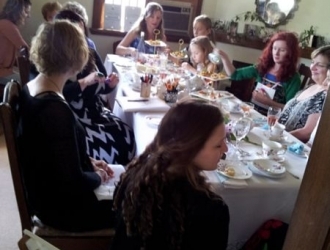 Themed High Teas – Mad Hatters tea Parties, Melbourne Cup, Mothers Day, Princess Parties and the list goes on. Proposal Set Up – We will set up a romantic picnic at a chosen location with extra decor to suit the occasion. Picnic rugs, flowers, decor. We can even arrange a photographer to catch the moment for your memories. Romantic Picnics – Old fashion picnic basket, with picnic blanket, cheese platter, wine or champagne glasses, gourmet food, premium tea. Romantic picnics can be picked up, or we can deliver and set up for a small fee. Group Picnics – Group picnics for 30 we set up the picnics buffet style. Buffet style can be for as many guests as you would like. 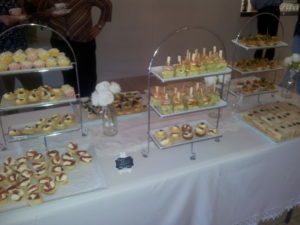 We set up the buffet table with the salads, cold meats and sweets, along with decor to suit the occasion. 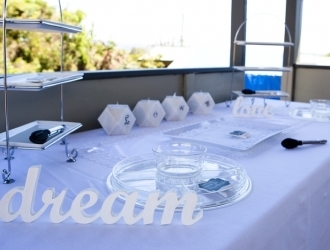 We supply cardboard picnic boxes for the guests to come to the buffet and select their menu. They then return to the table or picnic blankets to enjoy their meal. Ice tea or hot tea is incuded. Wakes :- If you have a loved one that you would like to send off with a beautiful catering selection, we are the caterers to select. Our packages start from $10 per head. We will deliver the food to the venue, set up on three tiered trays, and return to clean up afterwards. We supply tea and coffee and disposable plates and serviettes. Just a phone call, no stress we do it all. 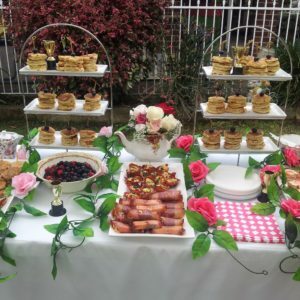 Corporate Morning tea and Afternoon tea – Just need to give us your budget, and we will deliver a morning tea to suit your requirements. We set it up, and return to collect. Also suitable for lunch catering.